Site at High Grounds of a potential new development including a hotel and restaurants. The plans to build an 82 bedroom hotel, restaurant and four retail units have takena step forward now they have been approved. Bassetlaw District Council considered the application and have now granted approval of reserved matters subject to conditions. The application is for four retail units, an 82 bedroom hotel and a pub/restaurant together with associated parking on land adjacent to High Ground Road in Rhodesia, Worksop. The site is currently vacant and has become overgrown and it has a prominent access road which serves the industrial, commercial and Sainsbury’s retail development. Bassetlaw MP, John Mann, is welcoming the new development and the boost it will have on the town. John said: “This is good news for Worksop. It is thought 35 full time and further part time jobs will be created. However it has not been met with approval by everyone. The site forms part of a larger development known as High Grounds which contains a mixture of food retail, warehousing, industrial units, offices, a fast food outlet and a petrol station. 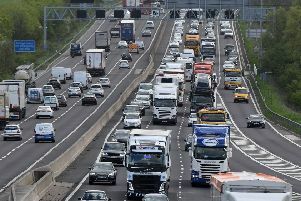 The County Highways Authority has assessed the proposal in terms of traffic impact, highway safety, accessibility and parking provisions and has no objections to the conditions imposed on the outline planning permission. To view the planning application in full visit www.bassetlaw.gov.uk.